This a very normal hotel. But their service is excellent. There was an issue with the AC in my room. They immediately changed my room. Their room service is great and the staffs are very friendly. Whenever I asked for any service, they made sure that I am happy with it. The location is very good, a bit crowded though. It's a great value for money. If you book room directly at the hotel, you might get it at a lesser price, but by using Agoda, you will get some credits which can come handy in future! It’s always something to look forward to staying at Lals. The neighborhood is vibrant and the location convenient to train metro and airport. They care about their property. It’s shows in the attentiveness of the staff and the spotlessly clean environment. Tastefully decorated. Relaxing. Great room service. Great staff! Lovely hot shower...doesn’t look like much from the outside; however once you get in the hotel it is really nice! I have booked a room in lal's haveli for one night. We booked it because our favourite hotel was full and we wanted a cheap hotel for one night. The room shown in the pictures is different from the room provided. The AC in the room was broken so it was not possible to change the mode or temperature, hence having it at 19° with the fan running at its maximum or shutting it off. We shut it off and were disappointed about this as we paid a supplement in order to have an ac. The bathroom was ok, even though the fan was not perfectly working and was very noisy, which made us switch it off at night, having a completely humid bathroom in the morning still. Shower is not acceptable from a European standpoint: either you use the buckets provided everywhere in India, or you bend to use the tap which is at hips' height. I believe that there are large number of hotels at this range in the Arakashan road area which can give you a better service for the same price. Smooth. Great room service. Good value. Comfortable clean with courteous staff. My choice for New Delhi. The district is vibrant. this hotel is located Pahar Ganji and it's easy to access, only 10 minutes from New Delhi rail station by walk. staff was friendly and room was enough clean. also I could use wifi in the room for free. only problem I got was hot shower didn't work, but this hotel could be good choice for the traveler who needs both of saving money and asking for cleanliness. This time (3rd time), it was quiet outside. It really depends on the road construction just outside the hotel. If you are lucky, you can have a good night sleep. But if you are not, you may find it difficult to sleep well. This time two of us were served into a little bigger room, but it was really cold. Shower was not working this time on giving us hot water, but from the tap. One thing to point out is that a local sweets shop serves you delicious confectionaries both local and Western. Hot water did not come out of the shower, only from the tap. Thus, you need to be under the tap bending your body. And if you are concerned with the city noize, this hotel would not be the best choice. Other than that, this hotel would be rated moderately decent. It doesn't look much from the outside but the guys here really looked after us, they helped us out with train tickets, local interests and were generally very attentive. Its a cheap hotel but the rooms are clean, have comfortable beds, decent showers, a roof top restaurant and a reasonably quick internet connection. The Hotel Lal's Haveli is a hotel confused about what it's trying to be. It would be a fine budget backpacker hotel if they got rid of some of the pomp and staff and instead focused on cleanliness. Or if they fixed the sloped floors, installed nicer lighting (our floor hallway only had light coming from the stairwell and I had to use a flashlight to find my lock), and made the restaurant much nicer they could charge more money and be more of an upscale hotel, but that wouldn't work well in Pahar Ganj. The restaurant was average with well below average ambience at the top of the building. The staff were helpful, but almost in an overtly asking-for-money way. In fact on the way into our tuk-tuk after I carried my own bags the bellhop asked "I may have tip?" I say look elsewhere if staying in Pahar Ganj. There are nicer places for less money in this backpacker's ghetto. Stayed three times with these folks now, always they are accommodating and helpful, trustworthy. Very highly recommended. 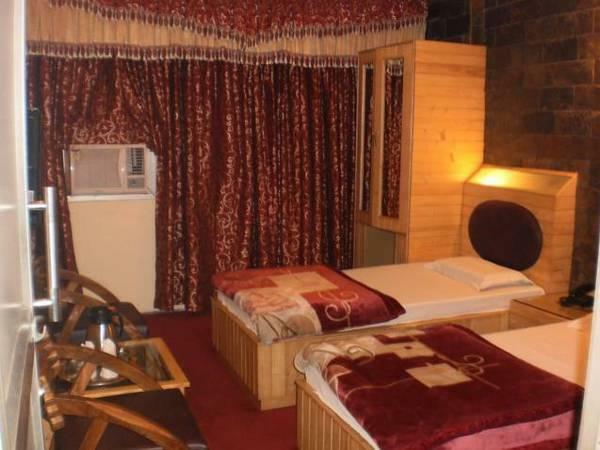 The rooms are clean, not large but good size, older building so the floors are not 100% straight lol... but for the price I cannot imagine better in Delhi, will stay with them whenever I'm there! Super delux room is far better then the delux room and the difference of price is very low. first i have booked a delux room but the room was quiet durty and no windows. i spoke with the manager a very gentle and he meved me to a super delux room which was far much better, very with nice hot water! 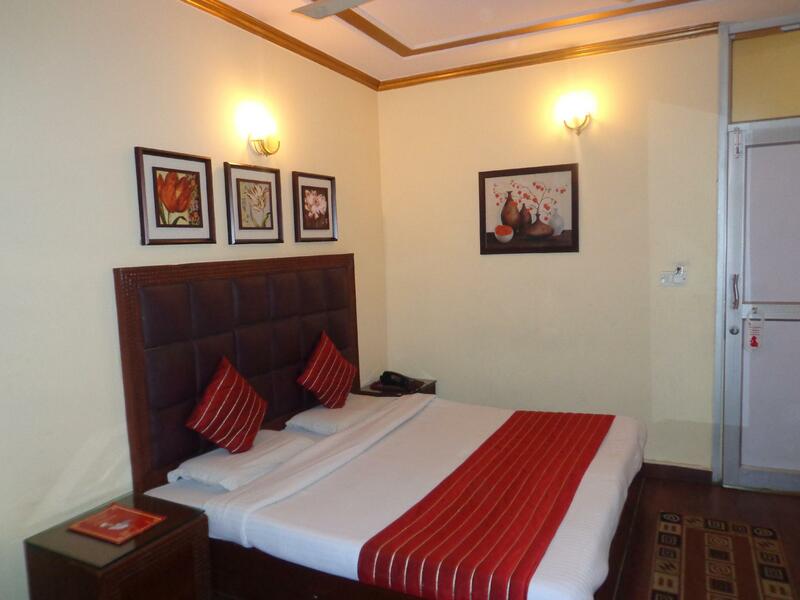 its better to book straight away a super delux room and the diference of prices is very low. i found the owner, the manager and staff very helpful, caring and professional! at the begining i felt unsafe in the area but because the staff are so helpful i trust that nothing will happen with me! they give feee internet that is just beside of the hotel and works very well! i stayed there 2 nigths and if i come again to delhi as solo lady traveler would stay there again! the hotel is located about 2 kilometers from the nearest metro, which is a plus. the room was nice, staff was helpful and service was very quick. however, the street it is on is loud and dirty. multiple indians warned my wife and i not to be on the street after dark and not, under any circumstance, go down an alley. i stayed here to see what indian culture was all about, and i did learn quickly. food in the area is great, too. The hotel itself is decent for what you pay. We had a double bed and hot water. It is in Pahar Ganj, which is fine by us but a bit seedy for some. It is close to the New Delhi Train station, a 5 min walk to the Metro and an easy walk or short tuk-tuk ride to Connaught Place. However, we cannot recommend the hotel. สถานีรถไฟใต้ดิน Ramakrishna Ashram Marg - ระยะ 0.86 กม.